Since the taking of the very first photograph in 1826, photography has developed, as it were, in ways hardly imaginable to its first few generations of practitioners. The most thorough transformation so far has, of course, come in the form of the digital revolution (and especially its latest fruit, the camera phone), which has in many real ways delivered on its promise of making "everyone a photographer." But the ability to take a picture is one thing, and the ability to take a picture worth looking at — let alone looking at more than once — quite another. 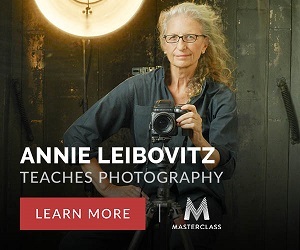 Fortunately, high technology has democratized not only the means of production, but also the means of learning with online courses like this free one on digital photography sourced from no less an institution than Harvard University. Its materials come from Dan Armendariz's Harvard course DGMD E-10: Exposing Digital Photography, and its twelve modules "will take an average student about 10 to 15 hours to complete, and they teach a wide range of topics in digital photography, including exposure settings, reading histograms, learning about light, how sensors and lenses work, and how to post-process photos." You can watch the lectures above, or find them on YouTube and iTunes, and find related materials on this course website. Even a basic understanding of all those topics will put you far ahead of the average social-media snapper, but as with any pursuit, gaining some knowledge creates the desire for more. You thus might also consider taking the digital photography course from Stanford professor and Google researcher Marc Levoy we featured last year. (Also see this free massive open online course, Seeing Through Photographs. It's from the MoMA, and it starts again on January 23.) It would take a lifetime to master all the gear and attain all the know-how out there, even if photography stopped changing today, but don't let that intimidate you. Just bear in mind the wise words of Hunter S. Thompson: "Any man who can see what he wants to get on film will usually find some way to get it; and a man who thinks his equipment is going to see for him is not going to get much of anything." Harvard's free digital photography course will be added to our collection, 1,300 Free Online Courses from Top Universities. The course has been withdrawn by Harvard and Alison due to dated (2009) content. Not good journalism. “Not good journalism” was probably a not good comment (sorry about that), but the headline does say, “Learn Digital Photography with Harvard University’s Free Online Course”. The related content on Hunter S Thompson and MoMA/Coursera is definitely worth checking out, though. I want to take the course. Please advise. There is no course – this is a course syllabus for a college extension class from the Fall of 2015! I would say you are a bit late in “finding” this “free” course. If there is a real clas, it is not evident in the link provided. i just want to be a professional photographer,could you please help me?